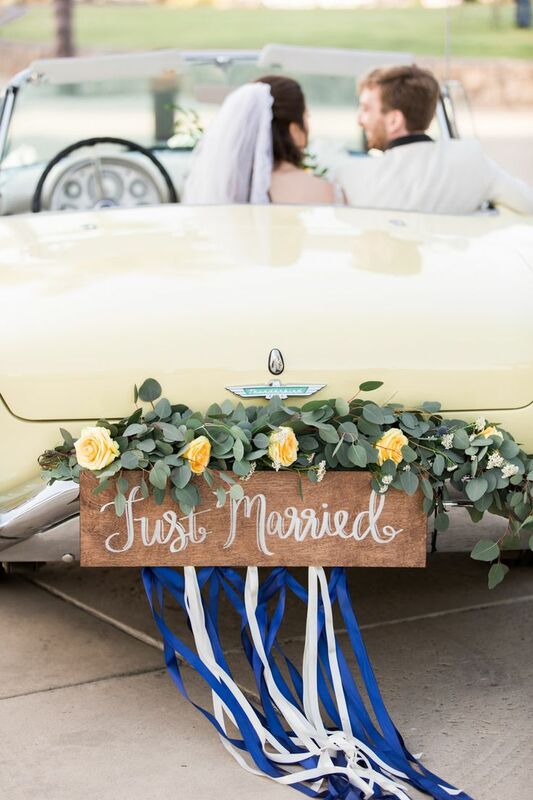 Wedding season is winding down, and if you got married this summer (and threw the most epic party of your life) you might be feeling a slight case of the post-wedding blues. Here’s how to beat ’em. Remember, it does take some time to get back to normal life. You can’t just spend months planning the biggest party of your life and not feel sad it’s over. Anything that’s been a big part of your life is difficult to let go of once it’s over. It’s totally normal to take a few days to get used to normal life again, but only allow yourself a certain amount of time to feel sad. Chances are you’re not the only one feeling this way! Check in with your husband/wife to see if they too are feeling down. Not only will opening up to your spouse get some of those feelings off your chest, it’ll bring you two closer in the first few days/weeks of your marriage. In addition to talking to your spouse, talk it out with your closest friends or family. Whether they helped plan your wedding or can relate because they have been through the post-wedding blues themselves, having a good venting session with your besties can cure anything! You can also search the good old Internet for gals that are going through the same thing. Believe it or not, post-wedding sadness support groups do exist! Get involved in something new! Remember all of those things you weren’t able to do when planning your wedding? Now’s your chance to do them! Head to a yoga class, sign up for pottery, or grab that book you’ve been meaning to read all year. Focus on the little things in life that you can do to make you happy. It’s just like a breakup, keeping your mind and body busy is the best way to keep the blues away. As soon as you start scrolling through the ‘gram comparing your dress to someone else’s Vera Wang number or getting location envy over your high school friend’s wedding in Antigua, we urge you to put your phone down! Remember that your big day was beautiful and perfect for you! Focusing on what you could have done will only cloud how amazing your day actually was. While you’re at it, resist the urge to pick up any bridal magazines for a bit. Unless you’re a wedding planner, you don’t need them! …after all, you are married now! Enjoying your first year of married bliss is the best way to keep yourself from thinking about your wedding. Now is your chance to do couple-like things without having your upcoming wedding to distract you. Have weekly/monthly date nights, cook together, or start a new hobby. Building your life together post-wedding is a great way to distract yourself. Whether it’s hunting for your first home, thinking about planning your family, or finally getting to travel with your husband/wife, there are a ton of big life moments for you to look forward to! Now Chip + Joanna Gaines announced that they have 125 NEW SHADES! You won’t be disappointed, they have.. So. Many. Colors.